My name is Ruth Gilmour and I am from Northern Ireland. 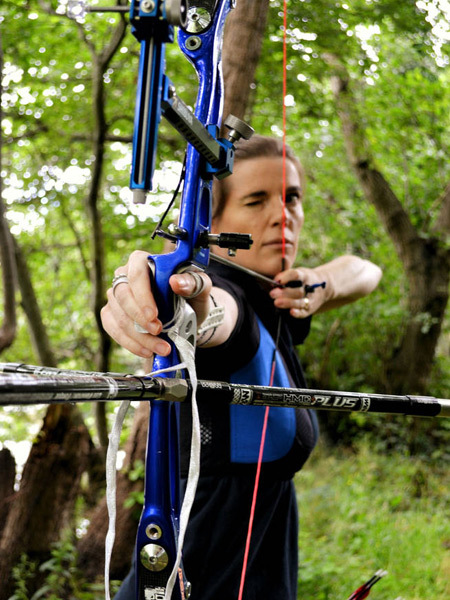 I began shooting barebow in 2010 and in 2012 l represented team GB&NI at the World field Archery championships in France and in 2013 at the European field Archery championships in Italy. Summer 2014 I changed to FreeStyle and I have had another very sucessful year in field Archery. I Won Gold at the Northern Ireland field championships, Silver at the All Ireland field Championships and Bronze at the All British Open field championships. I also have gained the freestyle qualification scores if selected, to Shoot this October in the European field Archery championships in Poland.